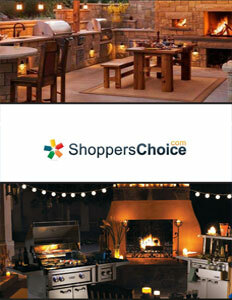 Business View Magazine profiles ShoppersChoice.com, an online retailer of outdoor home and entertainment products in Baton Rouge, Louisiana. “I was in the military for ten years. I worked part-time for my father-in-law installing gas grills. Back then, they had the old gas grills that were on a post, so I had to install the copper lines, hook them up to the gas meter, concrete them in, crank ‘em up, and get ‘em started. After I got out of the military, I moved on to the hotel business for a couple of years. I was moving back from Des Moines, Iowa where I was managing a hotel, and was on the way back to Louisiana to manage another hotel. I drove through Dallas, and happened to see a Barbeques Galore store. There used to be about 150 Barbeques Galore stores in the U.S. and I absolutely loved them. I walked in and said, ‘This is what I want to do.’ So, I came back to Louisiana, looked up the demographics for the best place to open a store and we chose Baton Rouge. It took us about a month and we opened up a store called ‘The Grill Store & More.’ And then, we opened a second one, and then we opened a third one. And that was in 1998. “I came home and within one week I found a programmer – he was 17 years old, working at a hospital. His name was Corey Tisdale. By day, I installed grills and gas logs and fireplaces, and by night, we sat in the back room and I studied all of the HTML and the stuff that helped the other websites get ranked, and he wrote the code. In the first part of 2001, the first three months, our site took off and we did a million dollars the first year and thought we were rich. And from that point on, it just kept on getting bigger and bigger and bigger. “Business was so good that I wanted to get out of the storefronts and so I gave the Grill Store & More name to a buddy of mine who owned a hardware store and he moved the stuff into the hardware store and it became the Grill Store & More. We moved into a five-bedroom house and we started doing our internet operations. It was just me and my wife. The garage was filled with cast iron and grilling accessories and copper cookware. Then we ended up buying a building, and then over two years, we expanded into nine buildings, increasing our employees, and then, about five years ago, we moved into a 45,000 square foot building and started working out of it. And we also ended up opening a store because we had a lot of vendors giving us a hard time because we didn’t have a storefront. And so, we opened a storefront and that opened the floodgates for us to carry a lot more variety of products. And then we extended another building that was on the property, which gave us another 12,000 square feet and, just recently, we built another 60,000 square foot building. “I’m a small internet guy in Baton Rouge, Louisiana. But because of Google and some of the other search engines, I have the best storefront in every city, in every town, in the United States – virtually. And it’s true. So, rather than a storefront struggling here in Baton Rouge, I have the availability to touch everybody all over the world. And this is where the technology comes in. Way before anybody started doing this, I had the idea that we’re going to do sales videos. We had this 20X20 platform I built in the back of one of our buildings. So we took a grill and explained how the grill worked. And then, we would cook on it and show people how it would cook. Because it was tough times, both parents were working. So what our analytics told us was that they were sitting down at night after they got the kids to bed, and they’re looking at our videos. And they didn’t have the pressure of a sales guy saying, ‘Hey, you need this, and you need this, and this is the best, and this is not.’ We did practical videos explaining the product and showing how it worked. And I was amazed at how many people would watch five or ten of our videos and go straight to the buy button. “And the other thing is gas logs. Think about this and technology: So, you go to buy a set of gas logs. You go into a fireplace store. At the most, they’re going to have five displays. But there are, literally, hundreds of different logs out there that they don’t get to see. And they never get to see them burning. And so, way early in this process, we had our vendors send us all of their logs, we installed them in a fireplace, videoed them burning, took them out, installed the next one, and literally did a couple of hundred sets of gas logs, so that people could see them burning. A brick and mortar guy couldn’t afford to do 200 fireplaces. It’s where the technology of the internet kicked in. “When we built that store, we had about an acre of land behind us and we have 31 outdoor kitchens built. And they’re all live, so a customer can come to my store and say, ‘What’s the difference between the Blaze and the Lynx?’ ‘Well, let’s get some hamburgers and go cook and you can tell for yourself.’ So the brick and mortar facility is a huge hit with our manufacturers and our customers. You can bring your whole family there in the evening and get on one of our displays and relax on our patio furniture and cook your whole meal on a grill. 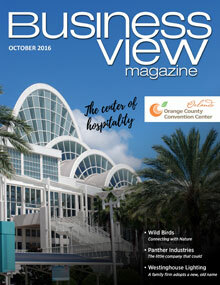 “Ten years ago, the only people who were building outdoor kitchens were the people out in Vegas and California. When the downturn happened, it created a need for people to have to stay home instead of going on vacations. So, then, all of a sudden, they start doing these ‘staycations.’ ‘We’re not going to spend the money on a vacation – we’re going to go ahead and get a grill, or a pool, or upgrade our landscaping and we’re going to create a family environment. Our backyard is our Disneyland.’ And that has taken off, and today, that is our biggest-growing category – the outdoor kitchen arena, just because more people are staying home, spending time with family and creating these staycations. Check out this handpicked feature on Westport Linen Services.